What exactly is a microscope mechanical stage, and do you really need one? 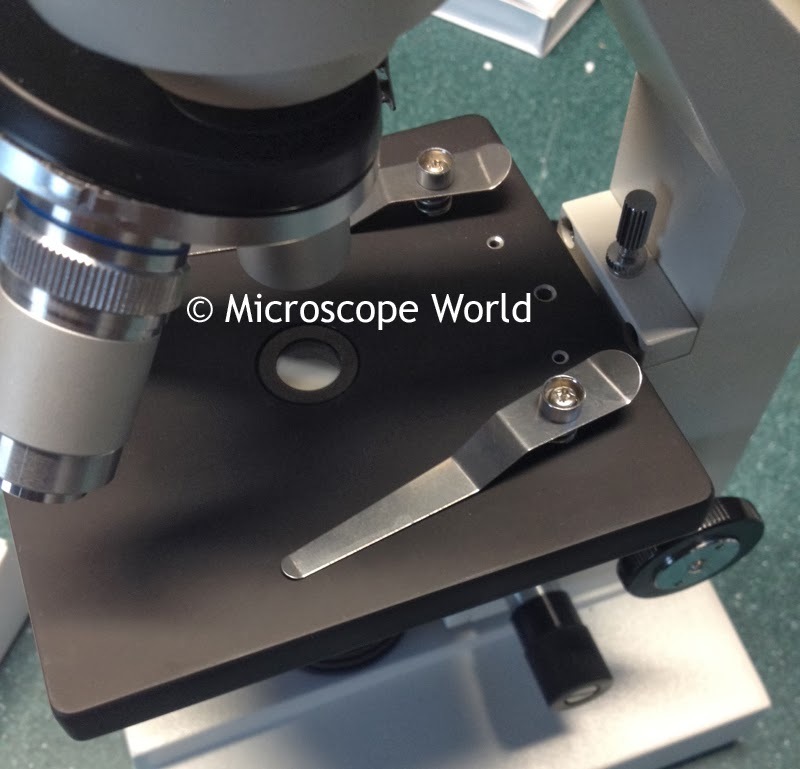 A biological microscope that does not have a mechanical stage on it will look like the image shown below with two stage clips for holding the microscope slide in place. A microscope mechanical stage is not required in order to view images, but it makes using the microscope much easier and less frustrating at higher magnifications. Microscope stage with stage clips (no mechanical stage). 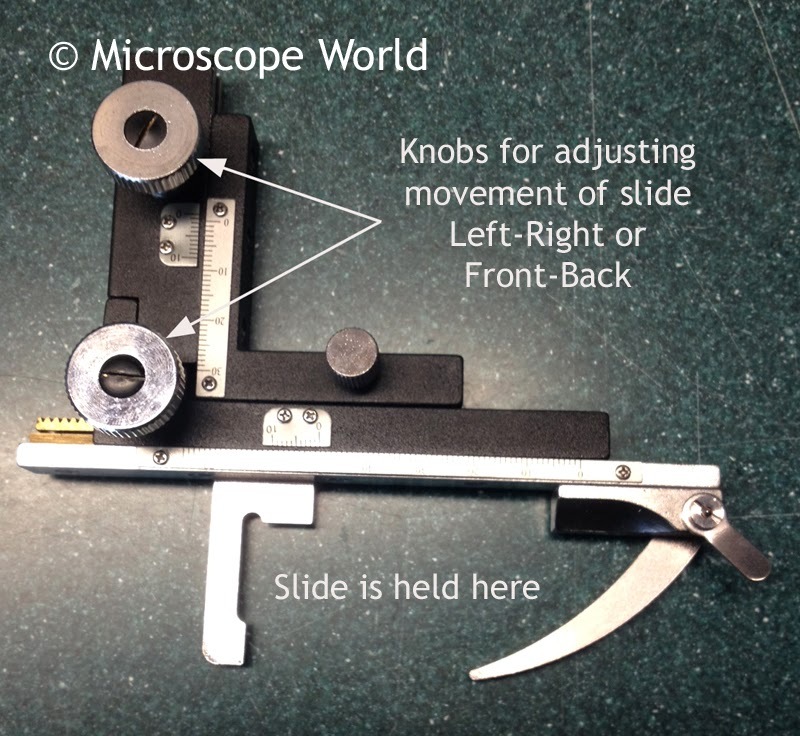 A mechanical stage holds the microscope slide in place and gives the user much more control over the slide. At very high magnifications (400x or 1000x) when you want to move the slide just slightly to view a different part of the specimen, if you are not using a mechanical stage you must move the slide with your fingers. It can be very easy to push the sample right out of the field of view. When using a mechanical stage one of two knobs are rotated to move the slide in very small increments either left to right or forward and back. The microscope mechanical stage below can be put on the microscope above by removing the stage clips and screwing the mechanical stage onto the flat microscope stage. Below is a video demonstrating the Richter Optica U2 microscope which has a built-in mechanical stage with low-position drop-down controls for controlling the stage. If you have questions about adding a mechanical stage to your microscope please contact Microscope World. What exactly are Stereo Zoom Microscopes?